No pressure, hah! That’s heaps of pressure! I don’t try to start at the beginning. Another piece of advice is, “get into the action as late as possible, and get out as early as possible.” So when writing, if I see a scene but not the opening, I don’t worry about the setup. I get into the scene and write what I do see. In the process, I usually come up with an opening – or I worry about it during edits. What advice do you like about starting new projects? 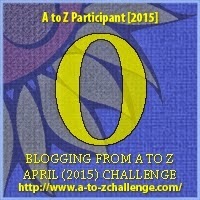 This entry was posted in Blog and tagged #atozchallenge, A. Catherine Noon, Noon and Wilder, Rachel Wilder, Writing. Bookmark the permalink. 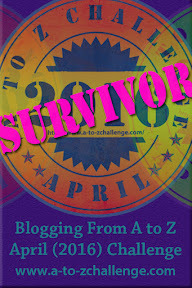 ← N is for… New Experiences! A huge thing for me, whether I want to write or clean or garden, is to not over think things. For years, I have stared at a crumbling little retaining wall around one of my flower beds. I doubted still having the strength to fix it myself and kept putting off on the expenditure. Then yesterday, I got down on my kneeling pad and just started digging. Unbelievably, half the perimeter has been fixed after a mere forty-five minutes! Sigh… Excellent writing advice, by the way. I can totally relate with you! I often find that jobs which I procrastinate get finished a lot faster than I assume they will. 🙂 Thank god for 30/30. I can't wait to see the new area that you spruced up! It's a puzzlement. Write a great first sentence, write three chapters that hook your reader, which can block the progress of a novel. I have finally learned that rewriting can fix all things, so don't let such things keep you from starting your work. Great advice, Stepheny! I love that line, "rewriting can fix things." Very true.